Mike’s done it, again! He has the uncanny knack of knowing just when I’m brain-dead but need to update the blog! And he takes great pictures, too! His Crab Fritters sound fantastic! Methinks I’ll be making them really soon! The rural South of the early 20th century was never known for haute cuisine. Money was limited most of the year, and cooks were constrained to find new and creative ways to use the few ingredients that were available to them. There was always flour and corn meal, and breads of all types really were the “staff of life”. Most women baked a couple of times a week, but every meal saw a quick bread of some type – cornbread, biscuits, hoecakes, hushpuppies, and, when the garden was producing, corn fritters. 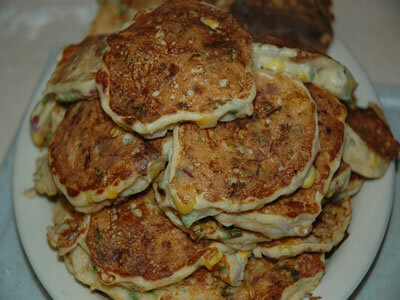 A fritter is as simple to make as it is delicious. 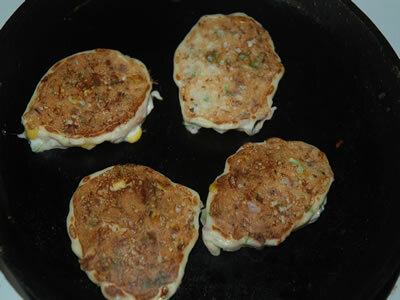 It’s essence is nothing more than a pancake with onion, corn and black pepper added (canned corn will work, but fresh kernels scraped from the cob turns this into food for the gods), and the result is a far greater delight than the sum of its parts. These have been updated, “citified” if you will, by the addition of a few ingredients, and the product is suitable for entertaining the pickiest company. 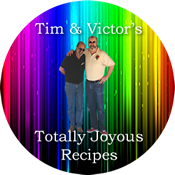 Serve with a good fish chowder, seafood gumbo, or vegetable soup. I use a cast iron skillet for these and wipe it with oil between batches, but a nonstick frying pan will work just fine. These are fried, but they are not greasy. Serves: 6-8 Can be made ahead and reheated, but do not freeze well. Put crab meat, chopped vegetables, spices, and liquid ingredients into a large bowl and stir to mix well and coat everything with milk and eggs mixture. Stir in flour just before cooking. 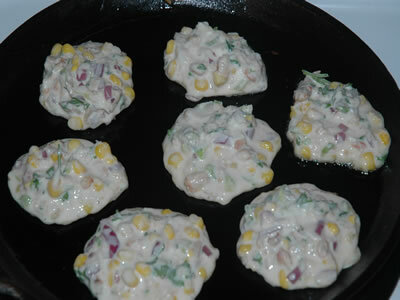 Drop spoonfuls of batter onto a nonstick frying pan or lightly greased skillet or griddle and cook 3-4 minutes until bubbles rise to the top of the batter and bottom is brown. Turn them over to finish cooking. Serve hot or cold.